The summer months are coming, which means it’s time to round up the family and get in the car for a road trip. One car you won't find on this list: The Family Truckster. The summer months are coming, which means it’s time to round up the family and get in the car for a road trip. Since summer is one of the biggest buying seasons for cars, it could be the right time for a new car before hitting the road. Auto dealerships begin rolling out their new models and discounting the outgoing year’s inventory, making it a good opportunity to land a deal on a car at significantly lower prices. Price isn’t everything, however. For drives with the kids, pets and other assorted family members, fuel efficiency, spaciousness and other amenities should be on your list as well when car shopping. 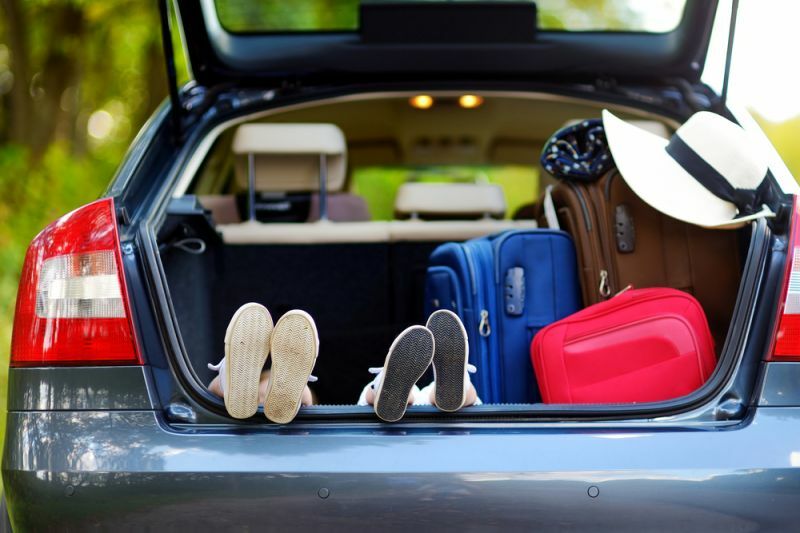 A leading authority on cars and auto brands, AxleGeeks sought out the best cars for summer family road trips to aid you in your search. In order to qualify, a base model had to have four doors, offer at least a combined 25 mpg, 38 inches of legroom in the second row and a minimum seating capacity of five. After sorting by fuel efficiency and breaking ties with price, the team uncovered the top 10 best 2016 vehicles for summer road trips. Note: 38 inches of legroom in the second row is the average for a 2016 compact SUV. If you’re most comfortable with a non-hybrid car, go for the Corolla. The price is right, and the size fits squarely between a sub-compact and midsize level. Its fuel economy comes in at an impressive 32 mpg, and its generous space — 41.4 inches in rear legroom — beats out every other car listed. All-purpose and reliable, the Corolla is hardly middle of the road when it comes to getting on the road this summer. Choose the standard, non-hybrid Chevy Malibu if saving on the price tag is most important for you. Though it’ll cost nearly $7,000 less than its hybrid counterpart, it may be worth the extra expense when it comes to weighing fuel savings versus the total cost of the car (the hybrid gets up to 15 mpg more than the base Malibu). If hybrids aren’t your thing, the Malibu does eke out 2 mpg more than other cars in the midsize segment. Affordability and reliability team up for the Honda Fit hatchback, a veritable gas sipper that boasts the best gas mileage per dollar (33 mpg for less than $16,000). A subcompact that defies its small size, the Honda Fit offers 39.3 inches in interior legroom and 16.6 cubic feet of trunk space — an 8 percent advantage over other cars in its class. The Jetta Hybrid’s standard counterpart holds its own fuel-economy wise, making it a solid decision for a new car if you’d like to accommodate several passengers, get good gas mileage and save money on the dealer invoice. Though its combined mpg falls nearly 18 percent below that of its hybrid sibling, it is also $14,000 cheaper and provides the same interior dimensions and interior accessories. The only high-end, luxury vehicle to make the list, the Lexus ES Hybrid offers a combined 40 mpg, plus 40 inches of second row legroom for passengers to travel in style. The Lexus ES outperforms other competitors in fuel economy by 54 percent, justifying its higher price tag for tangible savings at the pump. Hybrid and full sized, opt for the Avalon if you want fuel economy with more passenger and cargo room than the Camry might provide. Toyota’s flagship Avalon costs nearly $10,000 more than its midsize lineup mate, but gives roughly the same gas mileage (40 mpg), slightly more second row legroom (39.1 inches) and the same highway range for drives that are comfortable, economical and fun. If a Lexus is outside the budget but traveling in comfort and style are priorities, the Avalon Hybrid offers a nice compromise. Combining Japanese reliability, a trusted marque and environmentally friendly technology, Toyota’s Camry Hybrid is a midsize sedan perfect for road trips long and short with a 41 combined mpg. Based on AxleGeeks’ calculations, if your family’s excursions will favor long highway drives, you’ll get a 663-mile range, dashing the need to fill up the tank frequently and depleting your vacation budget. Opening up more head and legroom than many of its competitors, the mid-level Ford Fusion ensures comfort for passengers in the front and in the rear. With 12 cubic feet of cargo space, the vehicle fits everything from luggage to camping equipment. Because it’s a hybrid, the Fusion boasts an impressive 43 mpg — a bit less than its direct rival, Chevy’s Malibu, but at an affordable MSRP (under $26K) that more than compensates for the difference. Volkswagen’s Jetta Hybrid will set owners back several thousand dollars more than cars like the Malibu, but the model boasts 45 combined mpg. The compact sedan from the German automaker also gets high marks for safety features, like a 5-star rating from the National Highway Traffic Safety Administration. Midsize and with excellent fuel economy, Chevy’s hybrid version of the Malibu gets a combined 47 mpg, the best gas mileage of every car on this list. However, it may come at an overall hike in MSRP, since the Malibu runs nearly $1,000 higher than competing segment models — but for a 17 percent increase in fuel economy, the cost will pay off.